The DS1307 is a real time clock. Looking to buy or find the datasheet. Look here. I started off using a small DS1307 breakout board from jeelabs. The schematic for this is shown below. You simply wire up SDA SCK and the two power connections. After testing this with a mini breadboard i decided to see if it would run directly placed on the arduino. 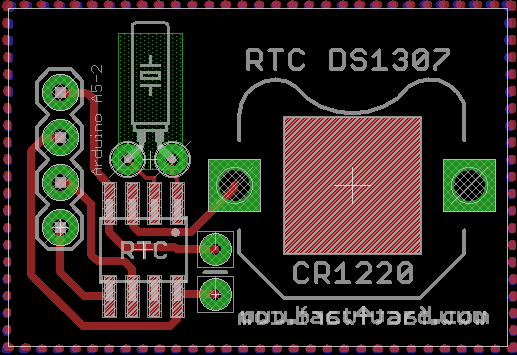 Only two small changes are needed to the PCB which are illustrated on the right. You link a wire from P to A as shown. Then you use a stanley knife to break the connection between the two A pins as shown. 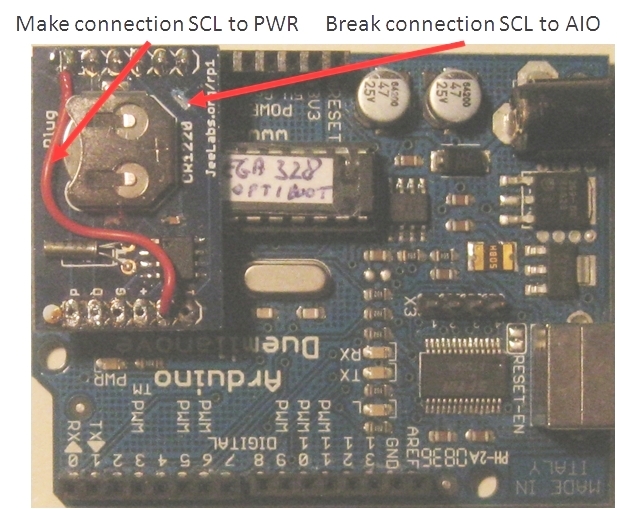 Getting the power directly from the arduino digital pins is using the same idea as i used on the DS18B20. Again there is the need for a small software adaptation to make it work. Basically putting the correct digital IO to Ground and +5V. Later on i also added two 2.2k pull up resistors to the SCK and SDA pins. They are not really needed. I downloaded the DS1307 library for this is at adafruit. https://github.com/adafruit/RTClib but actually it is from Jeelabs. As explained you need to make some small mods to set the power supply. 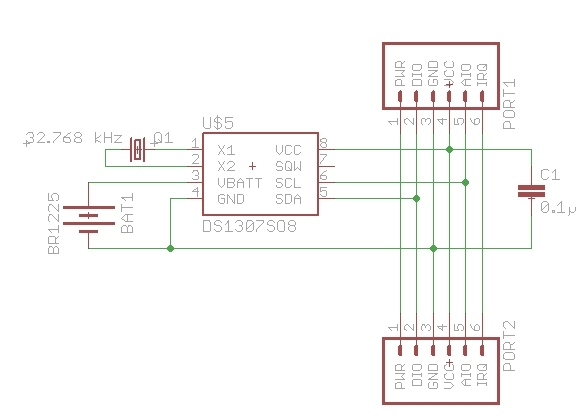 This modded library for the DS1307 including the arduino sketch can be downloaded here. 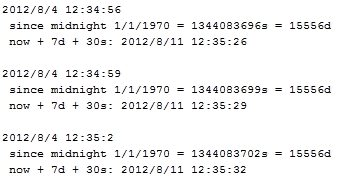 The output from the program you can see below. I designed a small PCB which enables you to connect the device directly to an arduino. The design is shown below. I have made several boards and they are available in the shop.